Sears Garage Services has the quality products and professional staff to meet your garage door repair or replacement needs. Our experienced technicians can handle any job from the repair of broken springs to the installation of new doors. We have some of the best warranties and financing around, don't forget to ask us about them. Give us a call at (781) 444-5600. 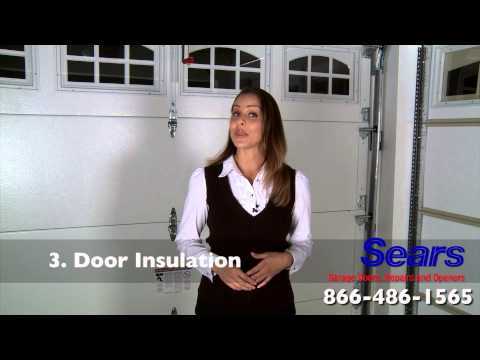 Sears makes it easy to have a new garage door. With our large selection of doors, you are sure to find the perfect fit for your home and our trained professionals will install it. When a door is too worn or damaged to be repaired, from a safety perspective it should be replaced. Our Garage Door installers can remove an old door and install a new one quickly and affordably. Many garage doors need only to be repaired rather than replaced. Your local Sears technicians can repair broken springs, worn tracks, and misaligned hinges to improve the function of your door. Over time, garage door openers can wear out and may require replacement. Sears Garage service technicians can repair your existing garage door opener or replace it with one of our modern openers from Craftsman, which feature amenities such as powerful motors for faster opening, belt-driven mechanisms for ultra-quiet operation, and smartphone app functionality to allow for remote control from anywhere. Link with us on Facebook to see exclusive special offers in the Boston area. 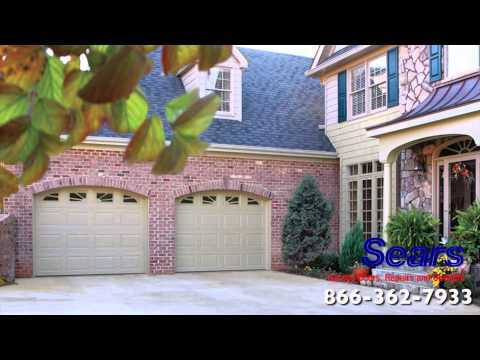 This is a helpful video that shows different types of garage door styles and openings. All of our new garage door collections are displayed here. Check it out! Cory was fantastic. Called when he was on his way and explained the issues that he saw and repaired the door within an hour. Would definitely use this service again. Your employee, Tomas Zayas was a complete profesional from beginning to end. Please thank Tomas for us! Tomas and Corey exceptional techs. Thank you.